Who is the Co-Founder of GSD&M? What is the email of the Co-Founder & Chairman of GSD&M? 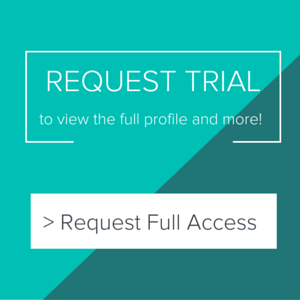 What is direct phone of the Chief Executive Officer of GSD&M? Who is the Media Buying, Media Planning agency of GSD&M? The GSD&M has retained the account. That shouldn't be too much of a surprise since GSD&M first won the account in 2000 and retained it after a review in 2008, as well. The new contract is supposed to last until 2027 with a budget of $741 million, so agency readers can take the USAF off their prospecting lists for the foreseeable future. There is no word on when a new campaign will drop, but sellers should reach out for revenue year round since the Air Force does not have a top spending period. They are primarily trying to reach the next wave of job seekers, so millennials and Gen-Zers (male skew) are the top demographic. According to the original RFP, the agency chosen would be responsible for television, radio, magazine, newspaper, online digital, social, direct mail, outdoor, transit, promotional material, video, film, emerging technologies (like Playstation VR) and experiential. So, omni-channel sellers will also likely have an advantage here. 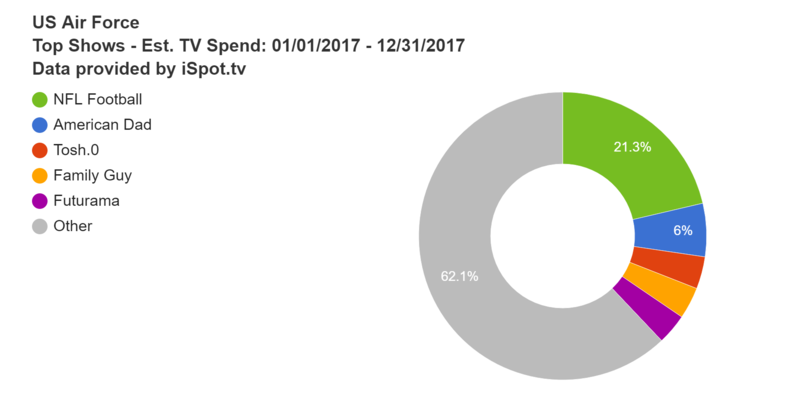 iSpot reports a year-to-date (YTD) national TV spend of $15.7 million. Full 2017 spend was $46.3 million. 2016 spend was $29.9 million, meaning budgets nearly doubled last year. Spots aired on shows with a male skew, specifically younger males (see show targeting right). Pathmatics reports a YTD digital spend of $57,800. Full 2017 spend was $9.2 million, up from the $4.5 million spent for full 2016. Most ads are placed directly, and top ad destinations include stack.com, diply.com, careerbuilder.com, discovery.com and animalplanet.com.